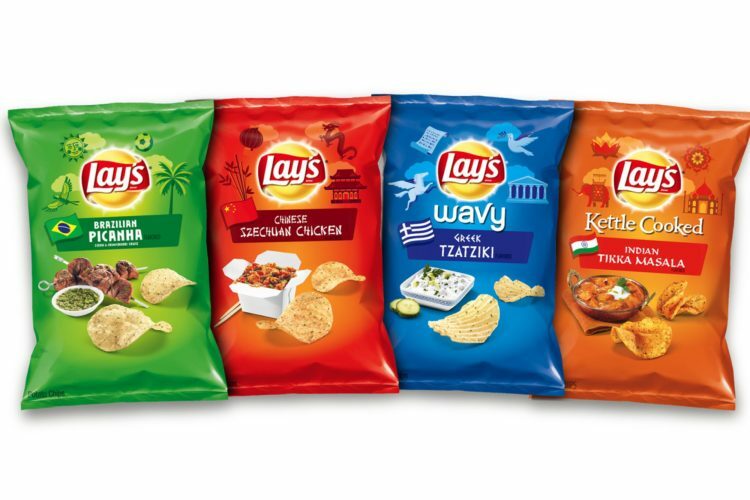 The last, "Exotic," flavor of a Lays' potato chip I liked was the, "Chicken and Waffles," one from their first, "Do Us a Flavor," campaign which besides the horrible pun ("Flavor," as, "Favor," get it?) gave us some dull tastes and that delicious one. There have been other supposed deal-big things Lays has done since then with other flavors people can vote on or try, but nothing grabbed my attention, until now. 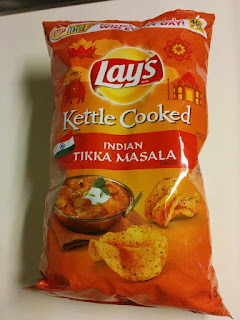 Lays is doing this, "International Flavors," thing and upon my trying of their Tikka Masala flavor I was incredibly impressed. It of course doesn't taste just like an actual Tikka Masala dish, but just as, "Chicken and Waffles," gave me the same essence of flavor, this chip does that too. There is the spice, mixture of flavor, and it basically just tastes really good. Besides this you could eat a beef one I skipped, the Szechuan Chicken chips, or Greek Tzatziki chips but I would recommend you do not because they are quite frankly terrible (I threw away a half-eaten bag of Szechuan Chicken chips and I rarely find myself unable to finish a bag of chips, no matter how stale or foul). Long story short, all the other, "International," flavors are trash and you should eat Tikka Masala if you want a chip that is delicious as opposed to hot garbage. Buy it, enjoy it, and then feel free to thank me. Note: I of course was not paid by Lays for this article, they don't know I exist, etc. Just in case you were worried I've sold out or something rest assured I have not.